I was commissioned to create the exhibition soundscape for a photo exhibition by New York-based photographer Pieter Henket, exhibited at Barberini Museum Potsdam. 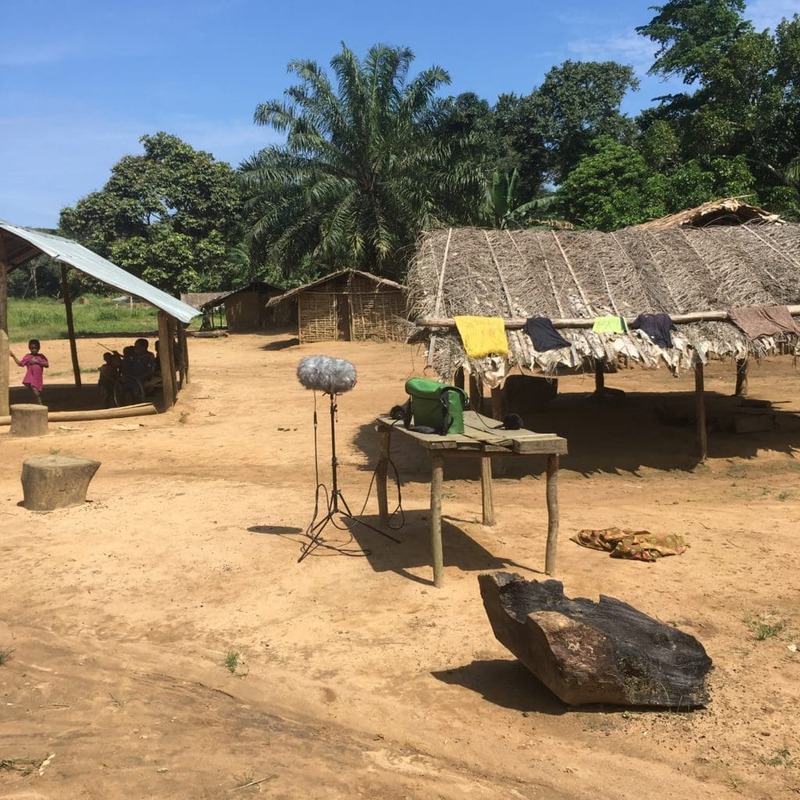 To capture original sound material for my soundscape composition, I spent two weeks with a small crew in the forests of the Congo Bassin, recording the mesmerizing environmental sounds of the second largest rainforest on earth. 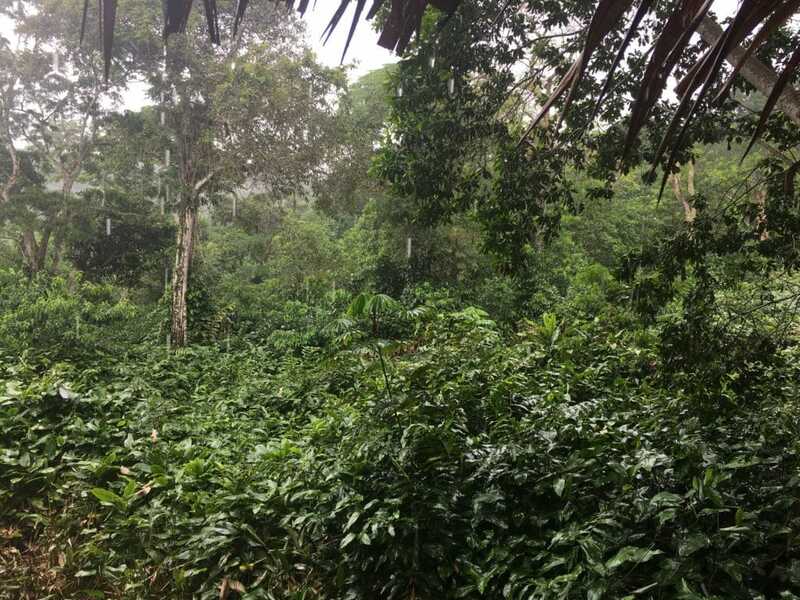 In November 2017 we flew with a tiny propeller plane from the Republic of Congo’s capital Brazzaville into the heart of the rainforest and proceeded with 4×4’s to our first remote camp in Odzala National Park. 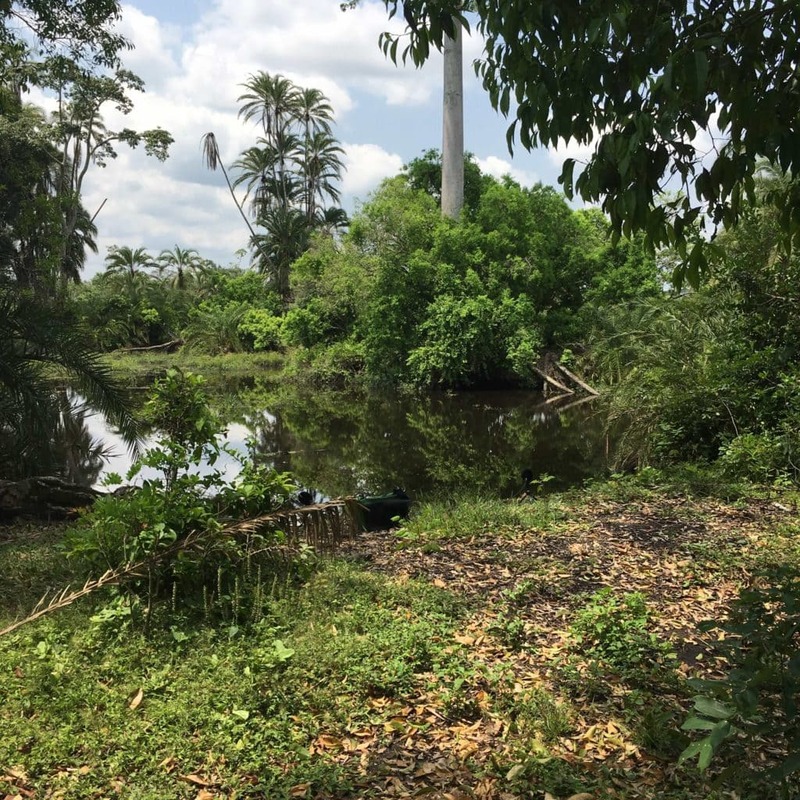 The Congo Basin is one of the most biodiverse places on earth; the sound of nature is continuously present and evolving with the time of day. In the early mornings around sunrise, the insect soundscape was replaced by intense birdsong. Compared to the constant wall of sound emitted by the insects, the birdsong sounded much more musical – more varied in timbre, dynamic and structure. 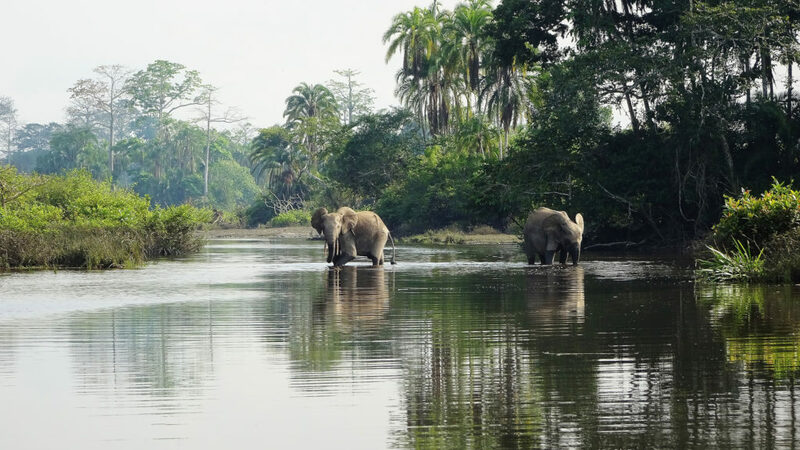 African forest elephants roam freely through the national park. A local guide mentioned to me that they usually gather at night to drink at a bay on the edge of the forest. 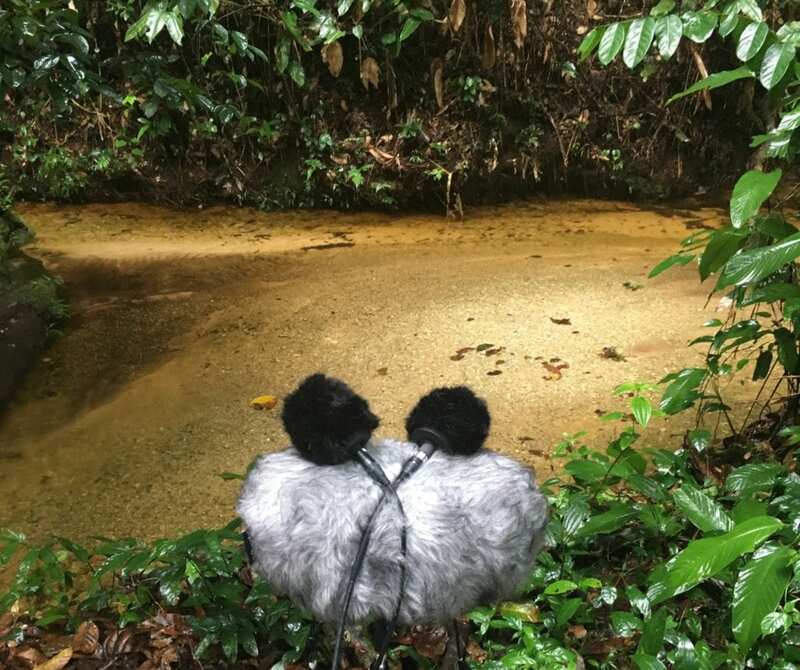 I wanted to capture the sounds of the elephants up close so I put one of my recorders in a dry bag, camouflaged it and placed it with a small set of microphones right next to the waterline. I left it there and let it record overnight, slightly worried if the equipment would survive the night. “Trampled by an elephant” would have been a great insurance claim, but apparently the elephants did not care much about my setup. 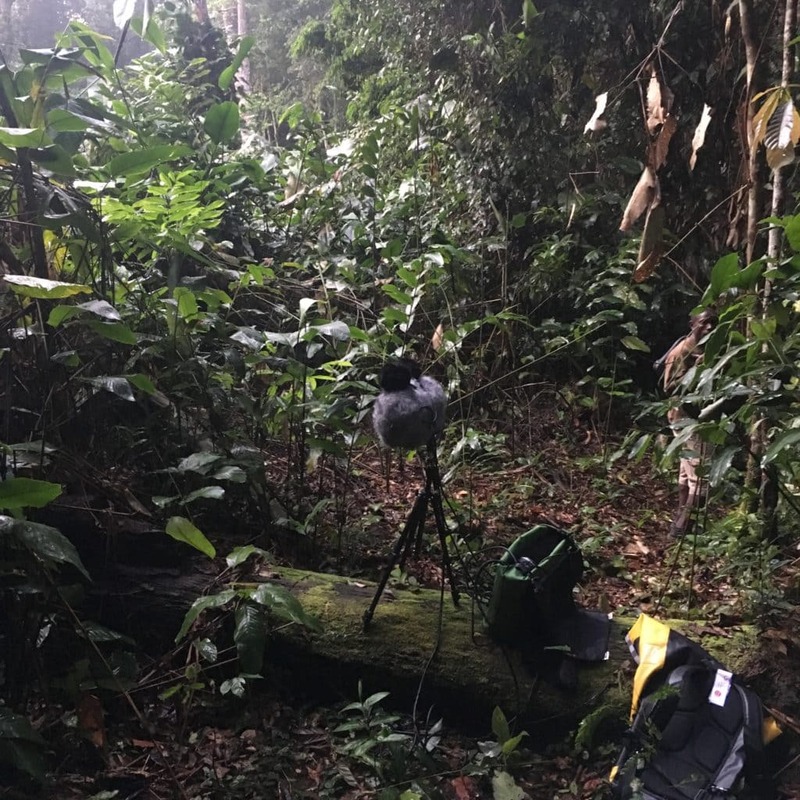 I was able to record many hours of the sound of free-roaming elephants, sometimes only a few meters away from my microphone rig. 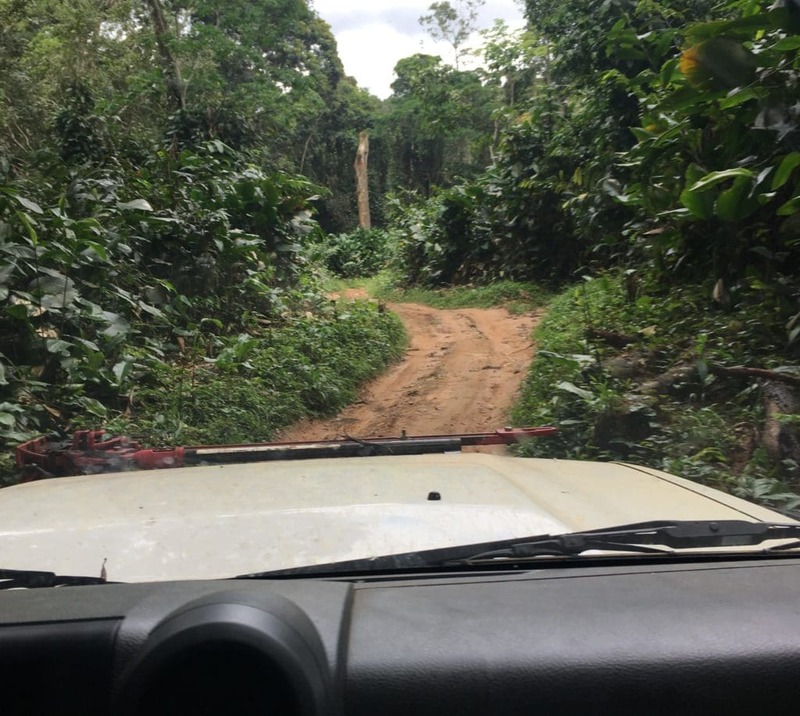 There were a few small villages scattered throughout the forest, often an hour by jeep apart. We stayed in and visited a few of them and I recorded the day to day sounds of the local communities there. 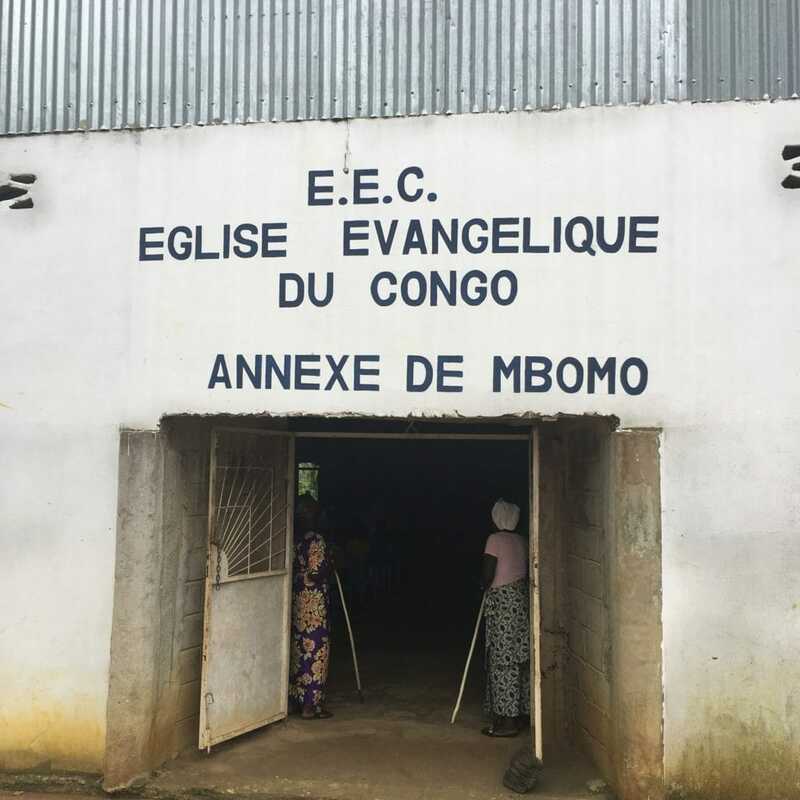 I also recorded church ceremonies, stories told to us by villagers in the local Bantu language Lingala (Ngala), the singing of school children and many other sounds. Click here to learn more about the exhibition at the Barberini Museum. Posted below is a 3-minute excerpt of the 30-minute soundscape I created for the exhibition. It was made from my 100+ hours of multichannel recordings made on this trip.